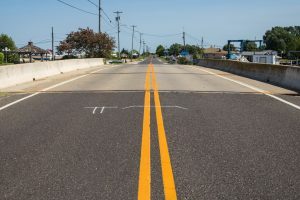 In 2012, work was completed on a $400 million project to replace the Route 52 Causeway bridges and the roadway sections between Somers Point and Ocean City. This was one of NJDOT’s largest projects and the largest in the SJTPO region, and is critical because Route 52 is the emergency evacuation route for Ocean City. The new causeway has served as a major regional travel route for bicyclists and pedestrians, with over 100,000 crossing the bridge as of March 2015.
amenities include boat ramps, fishing piers, parking lots, and walkways. The project also features a 10-foot wide paved multi-use path that extends the full length of the project. 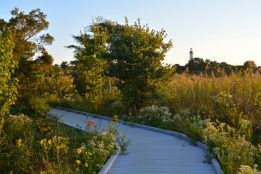 The walkway connects the Visitors Center and fishing areas along the bridge to other bicycle and pedestrian facilities in Somers Point and Ocean City. 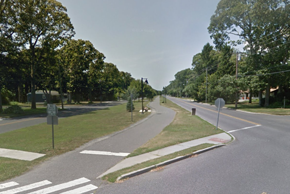 In July of 2014, NJDOT installed a permanent counter that is designed to collect bicycle and pedestrian usage data to assess how well the trail was being used. The sensor used allows the counter to continuously detect and differentiate between pedestrians and cyclists, and record each mode by direction. 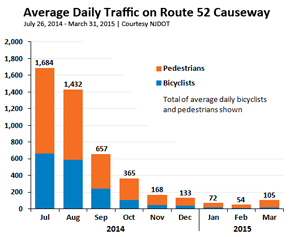 As of March 31st, 101,679 pedestrians and cyclists were counted crossing the Route 52 Causeway, with an average of 408 users per day. 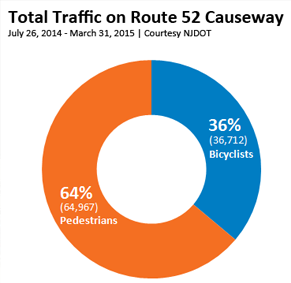 About 64% (64,967) were pedestrians and 36% (36,712) were cyclists. The largest single day volume (2,644 people) occurred during the Night in Venice Boat Parade, with 817 people counted using the path between 6:30 and 9:30 pm. 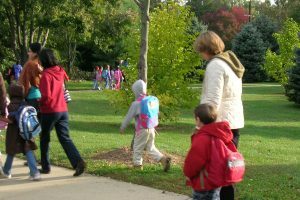 The New Jersey Department of Transportation (NJDOT), in collaboration with SJTPO and New Jersey’s other MPOs, have announced the recipients of the 2014 Transportation Alternatives Program (TAP) and Safe Routes to School grants. The six selected projects represent a $1.95 million investment in support of pedestrian and bicycle access and safety in the SJTPO Region. The City of Vineland project focuses its efforts in the area surrounding Gloria M. Sabater Elementary school, directly benefiting over 400 students. The project includes new crosswalks and stop bars at intersections; removal and replacement of existing sidewalks and curbs; upgrades to ramps at intersections to meet Americans with Disabilities Act (ADA) design standards; replacement of any and all faded and vandalized signs, as well as the addition of Share the Road signage and mobile in-street crossing signage for use during school arrival and dismissal. The City of Cape May project will connect the Cape May Elementary School with the US Coast Guard Training Center area, where over 60 percent of the students live. Improvements in the project include a bike lane on Pennsylvania Avenue from the Coast Guard Base to Michigan Avenue, a solar powered pedestrian/bicyclist activated warning flashing signal in front of the Elementary School; bicycle sharrows, bike racks at the Elementary School, as well as upgrades to meet Americans with Disabilities Act (ADA) design standards. 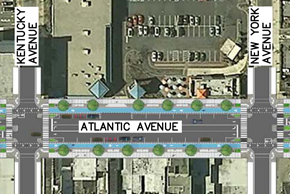 The City of Atlantic City project will fund a portion of a larger effort to redevelop Atlantic Avenue to be more bicycle and pedestrian friendly. Improvements will focus on a two-block segment of Atlantic Avenue between Dr. Martin Luther King Jr. Boulevard and New York Avenue. Improvements in the project include LED pedestrian crossing signals with countdown timers and audible speakers for the blind, crosswalk design improvements, way-finding signage, sidewalk improvements, bike racks, street lighting, access improvements to transit, and other streetscaping work. 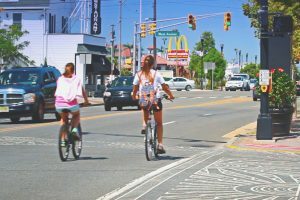 The City of Somers Point project will construct a 500-foot long, 10-foot wide bikeway extension to connect the Route 52 Causeway into Ocean City with the Pleasantville to Somers Point Bikeway. This project will make a vital connection between two of the most heavily used bicycle and pedestrian routes in the region, making walking and bicycling more attractive for both recreational users as well as commuters. 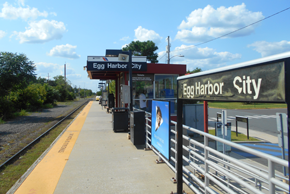 The City of Egg Harbor City project will build upon a number of efforts in recent years to improve access to the New Jersey Transit Railway and Bus Station on Atlantic Avenue. This effort will extend a pedestrian route from the rail station and bus stop down Atlantic Avenue to St. Louis Avenue then continue along St. Louis Avenue US Route 30. 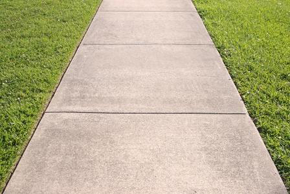 Improvements in the project include new sidewalks, curb, crosswalks, signage, drainage, upgrades to meet Americans with Disabilities Act (ADA) design standards, and related roadway repairs. 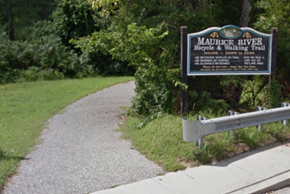 The City of Millville project primarily includes 1.4 miles of new bicycle lanes from the Sharp Street Park to the Union Lake Wildlife Management Area. 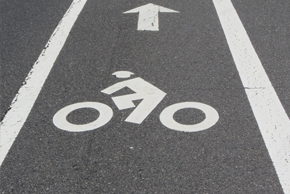 Bike lanes will follow along Sharp Street, Cooper Street, Schoolhouse Lane, and Carmel Road. Improvements in the project include mostly new bike lanes, but will also include shoulder widening, new sidewalk, signage, and other, pavement markings. The project will also serve as a connection for students at the Mount Pleasant Elementary School. At their March 23 meeting, the Policy Board approved SJTPO’s Fiscal Year 2016 Unified Planning Work Program (UPWP). The UPWP serves as SJTPO’s blueprint for all federally funded surface transportation planning activities in the region, from July 1, 2015 to June 30, 2016. $2,970,598 is programmed among the Central Staff Work Program, the Subregional Transportation Planning Program, and the Technical Program. Of special note is the Subregional Program, which allocates $348,500 to the four SJTPO Counties for work that supports regional planning initiatives and their own transportation planning needs. The Technical Program for FY 2016 includes $1,100,000 for consultant-assisted work that will enable SJTPO to address federal and local transportation priorities. Data collection, project development assistance, and work leading to the update of the Regional Transportation Plan in July 2016 are prominent elements of our technical work for the coming year. The UPWP is available for review, here. 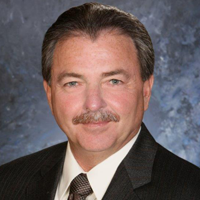 At its January 26th Reorganization Meeting, the SJTPO Policy Board elected its 2015 officers, and Cape May County Freeholder Vice-Director and Sea Isle City Mayor Leonard Desiderio was named the SJTPO Chairman. The Board also elected Salem County Freeholder Deputy Director Benjamin Laury as Vice-Chairman and Atlantic County Freeholder Will Pauls as Secretary/Treasurer. 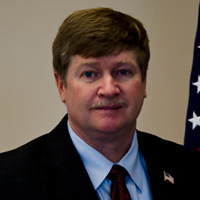 Cumberland County Freeholder Thomas Sheppard was newly appointed to the SJTPO Policy Board this year. In addition, the SJTPO would like to acknowledge the South Jersey Transportation Authority (SJTA) Director of Engineering, Stephen Mazur, who joined the Policy Board since the 2014 Reorganization. Chairman Desiderio thanked the Board for their support and wished everyone a happy, healthy, and prosperous year. 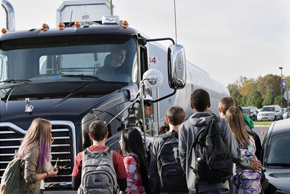 Two recent articles, in the Press of Atlantic City and the Guardian (Commercial Vehicle Safety Alliance) highlight some of the great work SJTPO Traffic Safety Specialists are doing to bring safety awareness to the public. 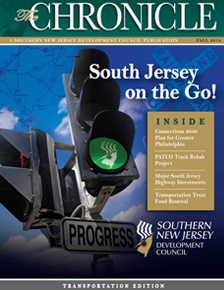 The Southern New Jersey Development Council (SNJDC) focused its Fall 2014 issue of its quarterly newsletter, the Chronicle, on transportation issues in South Jersey. One article focused on SJTPO’s Local Safety Program, highlighting the program’s focus on utilizing data to drive how SJTPO identifies locations and solutions when spending public dollars to improve safety. You can read the article in the Fall 2014 issue of the Chronicle, here. 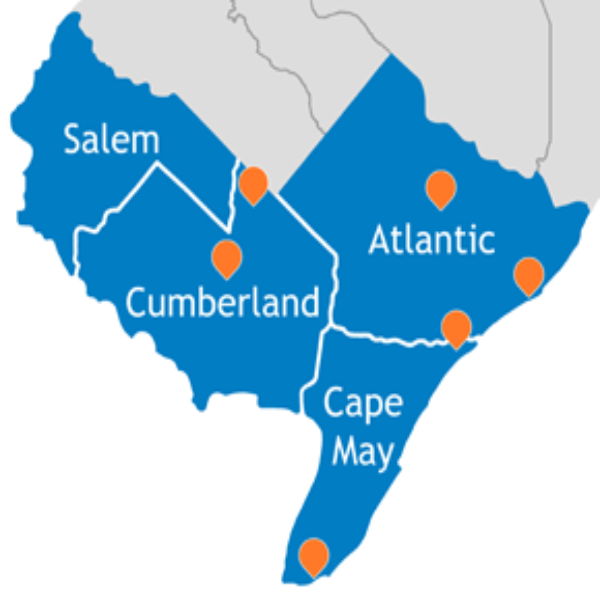 You can learn more about the Southern New Jersey Development Council (SNJDC), here. 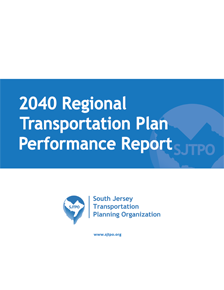 SJTPO staff recently completed a draft of its 2040 Regional Transportation Plan (RTP) Performance Report. 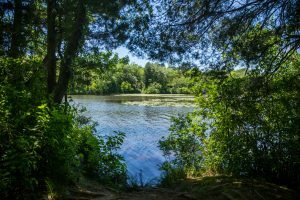 This report serves as a mid-planning cycle report card that assesses the region’s progress in reaching the goals and objectives of the 2040 RTP, adopted in July 2012. The report shows a series of indicators for each of the Plan goals, and then uses simple gauges to depict the direction the region is heading. In addition to establishing performance measures, which are the basis of performance-based planning, a key emphasis area of federal legislation (MAP-21), the report serves as a strong foundation for the upcoming 2040 Regional Transportation Plan Update, due out the summer of 2016. The report is available for review and public comment,here. Leonard C. Desiderio was elected Chairman of the SJTPO Policy Board in January 2015. Freeholder Desiderio has served as mayor of Sea Isle City since 1993, was elected Freeholder in 2002, is a member of the Sea Isle City Planning Board, Sea Isle City Ambulance Corps, Elks Lodge BPOE 1290, Southern New Jersey Freeholders’ Association, New Jersey Association of Counties and past president and current member of the Cape May County League of Municipalities. Freeholder Desiderio was recognized by the New Jersey Conference of Mayors as Freeholder of the year 2004. Desiderio’s community involvement includes sponsoring both the St. Patrick’s Day and Columbus Day Parades in Sea Isle City as well as sponsoring numerous charitable events and playing Santa Claus for needy children in the county since 1997. Desiderio received his B.A. degree in Social Sciences and History from Thomas Edison College. 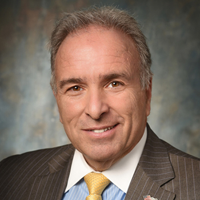 A native of Nutley, New Jersey, Desiderio became a full-time resident of Sea Isle City in 1983 and is president of Sea Isle Inn, Inc., a family owned and operated business. Desiderio is married to wife Carmela and they have one daughter, Carmela. DID YOU KNOW? 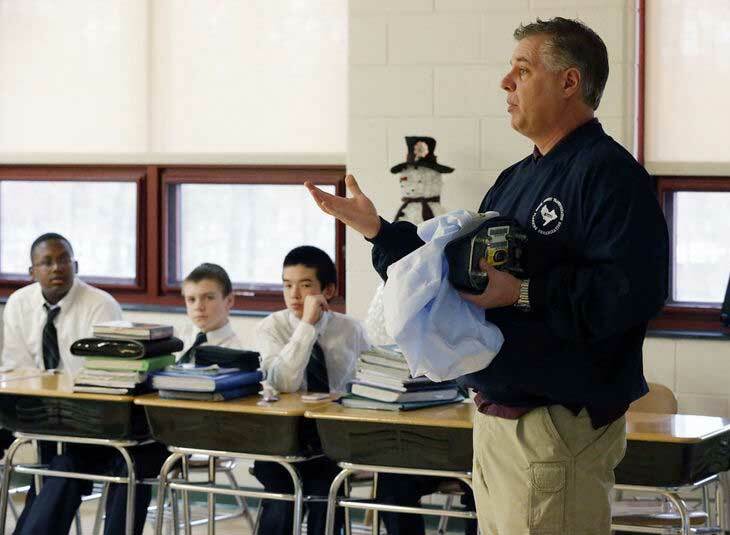 In the 2013-2014 School Year, SJTPO Traffic Safety Reached Over 14K Students! As part of SJTPO’s long-standing commitment to make South Jersey roadways safer for all users, SJTPO offers a unique series of programs to teach area children, teens, and adults about different ways to be safe on area roadways. These programs reached over 14,000 students during the 2013-2014 school year.